Police officers in Troy, New York, were spotted marking off an area around a house where four people were found dead on Tuesday, WRGB-TV reported. Troy Police Capt. Daniel DeWolf said that the bodies were discovered in the house’s basement, the report said. DeWolf said that the deaths were being investigated as likely homicides. The building’s property manager was among the victims who were found dead, reported the Albany Times-Union newspaper. 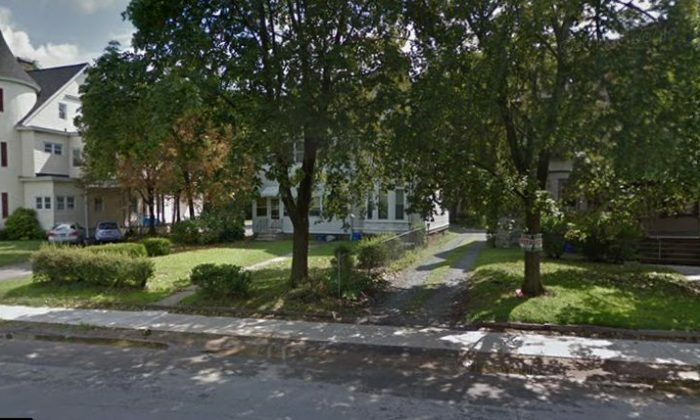 The landlord of the building discovered the victims in the basement apartment, according to the Times-Union. Investigators are processing the scene. They don’t yet know the causes of death. They did not reveal the names of the victims or their ages. Troy is located across the Hudson River from Albany, the state capital of New York state. It is located about 150 miles north of New York City.